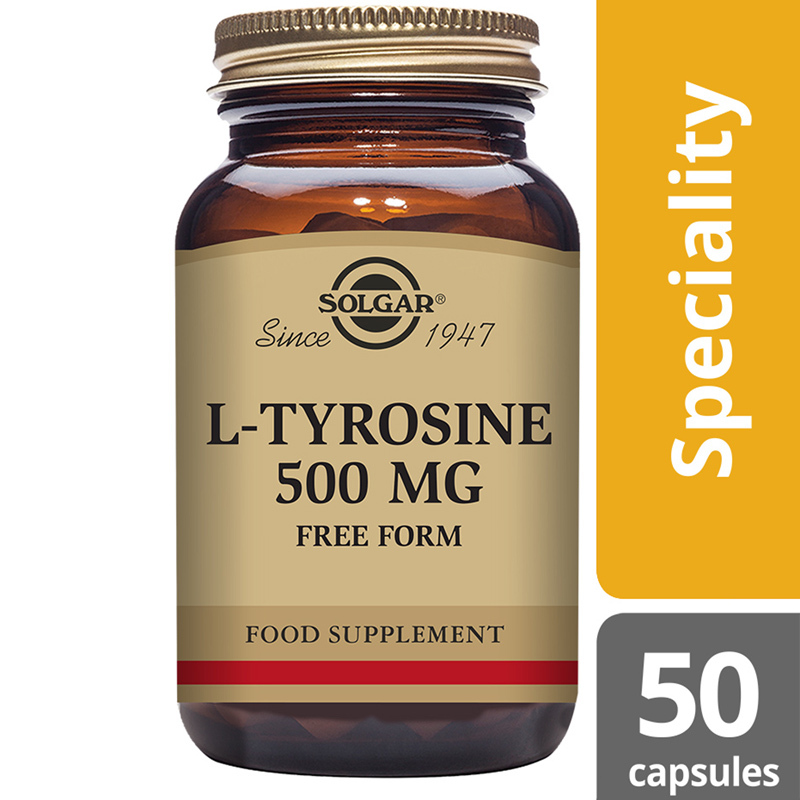 Solgar® L-Tyrosine contains Tyrosine, an amino acid which is naturally present as a free amino acid within the blood and nervous system tissues. 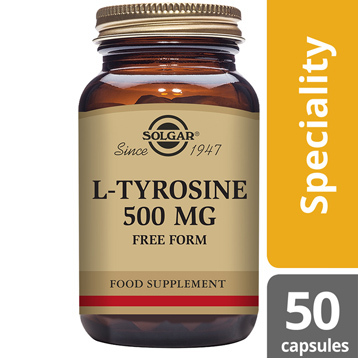 Tyrosine is a non-essential amino acid and can be found in dairy products, meats, fish, eggs, nuts, beans, oats and wheat. 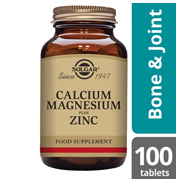 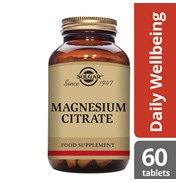 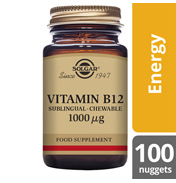 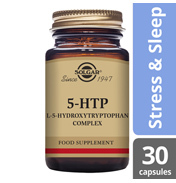 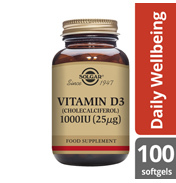 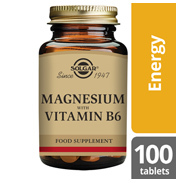 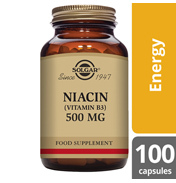 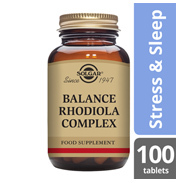 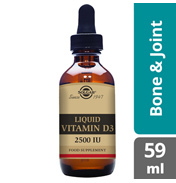 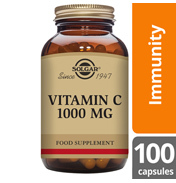 Ingredients: L-Tyrosine (Free Form), Vegetable Capsule Shell: hydroxypropylmethyl cellulose, Bulking Agents: (microcrystalline cellulose, hydroxypropyl cellulose), Anti-caking Agents: (vegetable stearic acid, vegetable magnesium stearate). 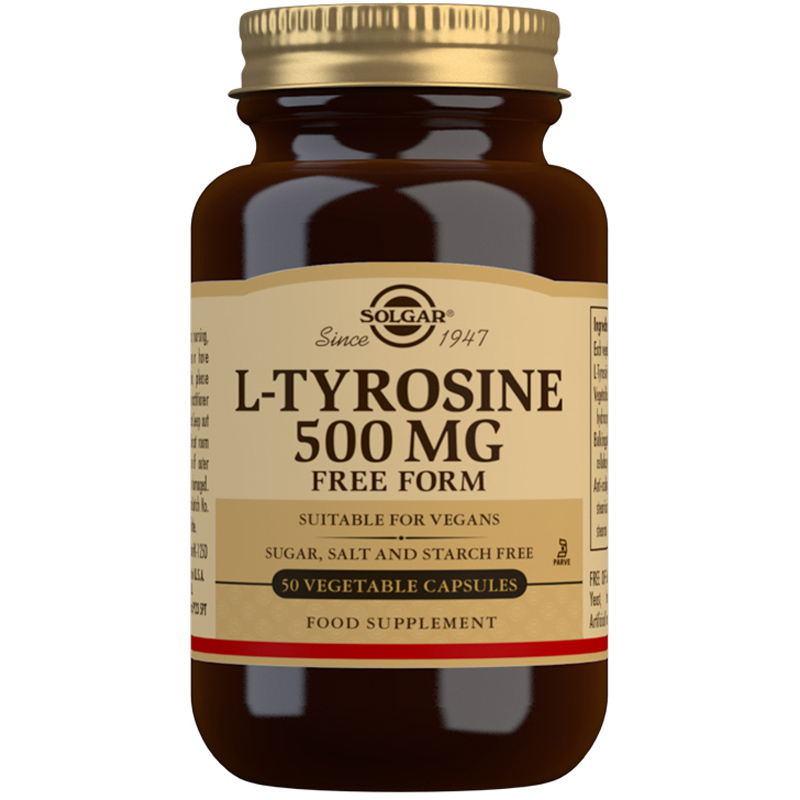 L-Tyrosine (Free Form), Vegetable Capsule Shell: hydroxypropylmethyl cellulose, Bulking Agents: (microcrystalline cellulose, hydroxypropyl cellulose), Anti-caking Agents: (vegetable stearic acid, vegetable magnesium stearate).